Would you like to purchase this course as a Gift Voucher? Do you have any special dietary requirements (including vegetarian)? Do you consider yourself to be in a good state of general fitness? Do you have any medical conditions that Woodland Ways needs to be aware of, including any regular medication? Would you prefer your course information pack to be emailed or posted? A comprehensive bushcraft course aimed at those with either a personal and or a professional interest in progressing their bushcraft knowledge to heights they did not think possible, the depth and breadth of skills taught here is unsurpassed. This is a personal development course with extra special private access to our woodlands for you to consolidate your skills. 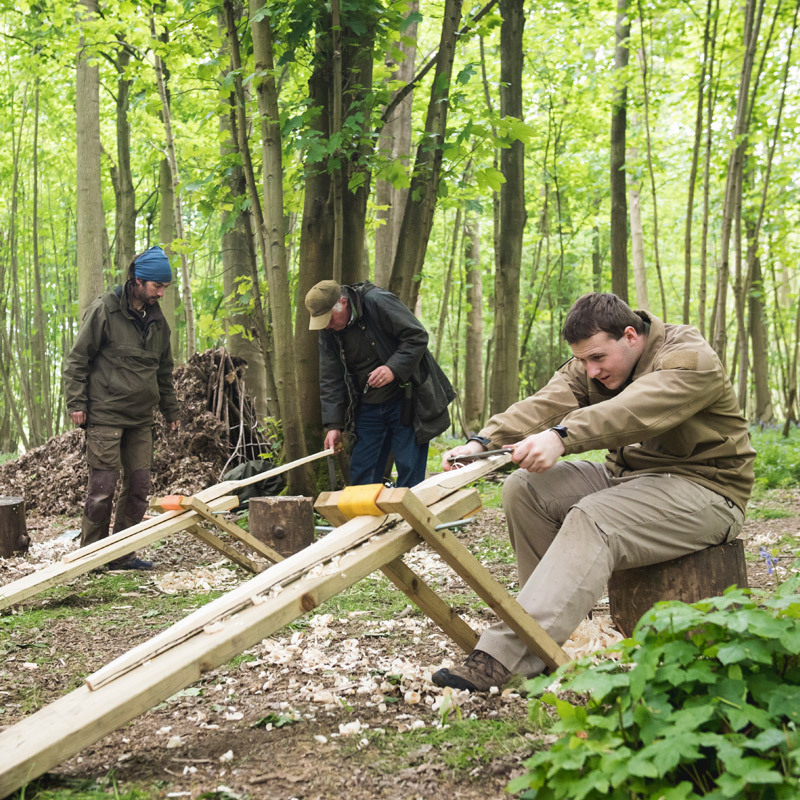 THE WOODLAND WAYER consists of 17 weekend courses and 3 one day courses spread over 2 years. THE WOODLAND WAYER also includes a number of unique benefits and discounts, exclusive only to WOODLAND WAYER course participants during the duration of the course. In addition to the actual course dates you will be able to access and utilise your area of woodland on 12 additional weekends over the duration of the course. Further to this, course participants will benefit from 10% discount on all equipment from our World Of Bushcraft store and 15% off further courses & expeditions with Woodland Ways. 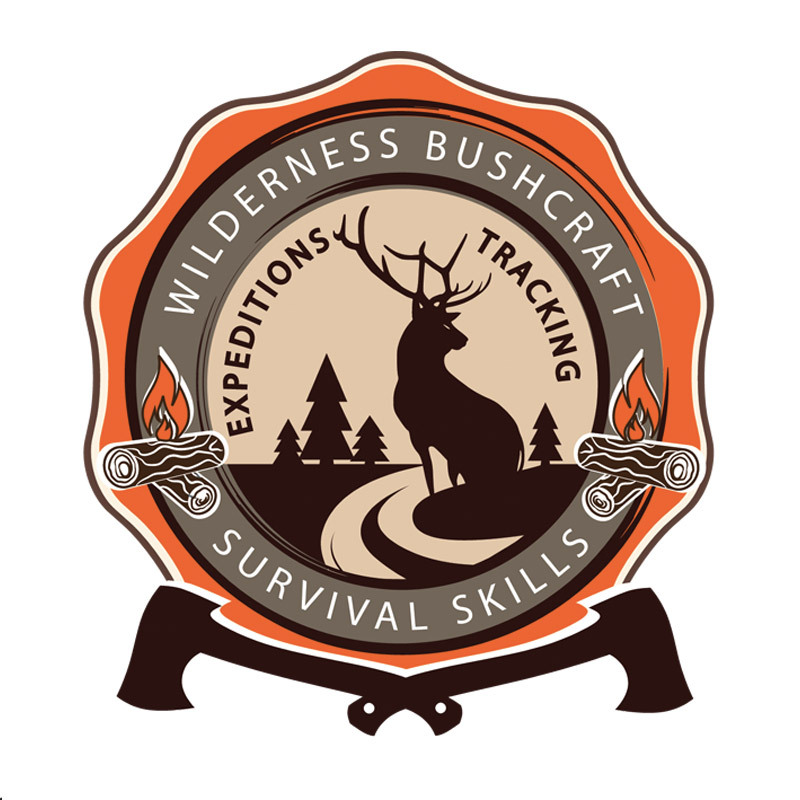 This course is designed to leave you with all of the skills necessary to fully understand the scope, depth and breadth of what we mean when we talk about Bushcraft, this is the real deal. Harvesting your resources from natures bounty, you will be lucky enough to be taught by one of the UK's leading Bushcraft Companies. You will have access to a wealth of information, working in small groups with all our instructing team. Each individual instructor on the team will bring into the mix of teaching their own particular specialisms and are headed up by our Senior Instructor Adam Logan, Instructor Jay Jenner and Company Director Jason Ingamells. All are renowned for their vast knowledge and practical application of bushcraft skills and are highly respected experts in their field. Jason will also give you rare occasional "behind the scenes" access to see what it is like to run one of the busiest Bushcraft & Survival companies in the UK for those that choose. All the weekends start at 1pm Friday and finish from midday (ish) onwards Sunday, this means it is easy to complete this course and remain in full time employment, also for each year's intake we try factor as many of the modules as possible to fall on the same weekend of each month to make it easier to plan for. THE WOODLAND WAYER takes place in either our 250-acre SSSI woodlands in Oxfordshire or within a remote 400-acre block of woodland on the Belvoir Castle Estate in Leicestershire. You can join this course at 1 joining weekend each year, and from this point you join the rolling programme until you complete all modules. This module coves knife law, selection, sharpening, use and safety. Folding saws, bow saws, crook knives. We look at axe selection, maintenance and small axe works including carving. This module includes several carving projects designed to use a range of edged tools. This includes its importance and use, fire building, fire lays, kindling, man made and natural tinder collection and preparation. Ignition sources such as matches, lighters, ferrocerium rods, flint and steel, flint and iron pyrites. Also the proper extinguishing of fire and clearing up to leave no trace. Here we move on from the skills taught in the previous weekend to really develop your skills in Friction Fire Lighting. The focus is on refining your fire bow technique, including making your own fire bow set from the woodlands, the use of natural cordage, fault analysis and alternative fire bow techniques. We also aim to cover other friction firelighting techniques- these will include the hand drill and fire saw. This includes the importance of shelter, the pitching of tarps and hammocks, simple emergency shelters, the correct construction of basic one and two man shelters including lean toâs and kennels etc. We also look at thatching options, bedding and cot beds. group shelters, teepees, wickiups, winter shelters , raised beds, incorporating a fire and then finally dismantling and leave no trace. Here we aim to open your eyes (and ears, and nose, and feet, and hands) to discovering life in the woods. This weekend will give you the confidence to not just understand what animal has left a track, but to interpret the tracks and signs to enable you to get closer to wildlife. With our unique down to earth, practical and realistic approach the Woodland Ways instructors will go beyond the classic realms of identifying tracks and signs for food, to give you a deeper understanding of animal behaviour within the UK and provide you with the opportunity to experience nature as close as you can get. During this weekend we discover the ancient weaponry that our ancestors would have hunted with. You will have the opportunity to produce your own tools including Sling shot, Atl Atl, Bolas, Throwing sticks, Green Bows and Catapults. This course covers preparing and cooking a variety of game for consumption and includes small and large mammals, small and large fowl, fish, crustaceans, and insects. In the process we will examine basic animal anatomy and talk about food safety. We will also begin to process and incorporate wild plants into your recipes. Throughout this weekend you will discover the huge variety of available natural cordage, how to select the appropriate material, preparation, plaiting, braiding, and laid cordage. You will also discover rope making. Further to these skills you will learn how to process various Barks in order to make containers. We will also look at Birch bark usage, birch tar, and plant glues. This weekend is purely dedicated to the craft elements of Hedgerow basketry; including material selection, producing different basket and container styles utilising different weaves. We also include coil basketry and different stitching patterns. This section of THE WOODLAND WAYER course is spread over two weekends. Here you have a go at brain tanning and veg tanning ultimately to produce buckskin and leather. We also undertake a variety of leather working projects. This will include elements of bone work, antler work, producing hide glue and rawhide. This weekend focuses on Axe selection, maintenance and safe use. You will learn how to fell, split, limb and section your timber. When the arms no longer move our instructors will impart there knowledge on Tree identification and interpretation, we include in this weekend a night time tree identification session which will really hone your ID skills. This weekend de-mystifies the science of making water safe to drink. From sourcing your water, collecting it, and then on to removing contaminants and waterborne pathogens. You will discover a whole array of techniques for filtering and purification, including primitive methods for boiling, Chemical purification, and UV purification. We also investigate Camp Hygiene in relation to Dealing with human waste, Leave no trace practice, Camp latrines and Personal Hygiene. This weekend you join our Walking Group Leader Qualified and National Navigation Award Instructor for an Introduction to map and compass. You will learn how to utilise Bearings, undertake Resections, back bearings, provide grid references, and the use of hand rails. We also assess the reliability of comparative natural navigation techniques including the use of the sun, stars, moon, trees and plants, man-made features and landscapes. 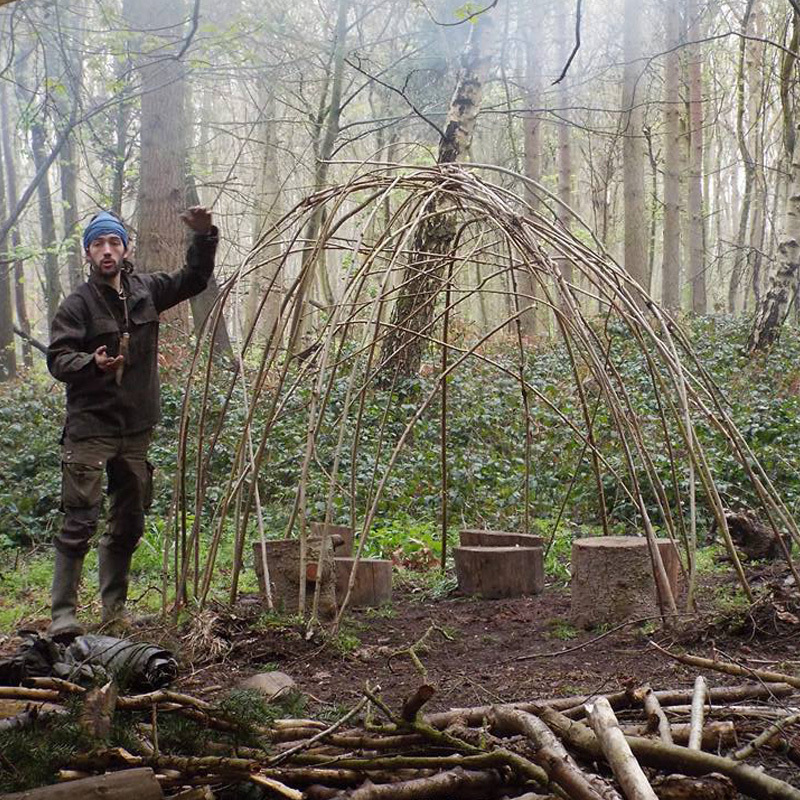 By the end of this weekend you will have the skills and knowledge to enable you to have produced your own Ash Bow. We will guide you through the process to discover the joys of fashioning wood, once the stave has been shaped roughly, we then move onto the finer detail of the curve, before cutting the string grooves. Its then down to the fine tuning of the tillering process, where you will finely balance the bow. On this course we look at Primitive Technologies. 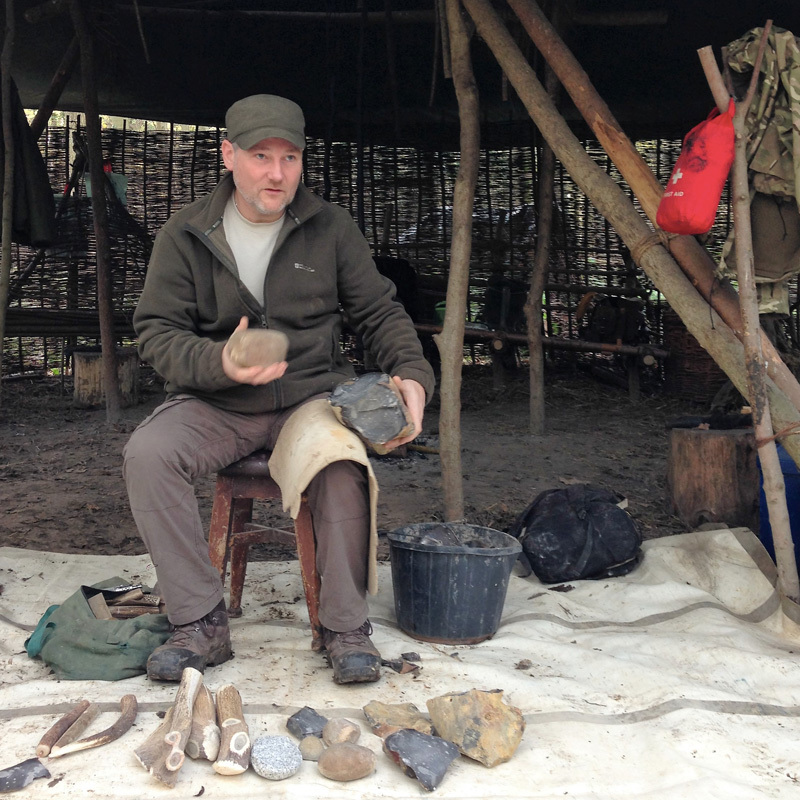 Here we guide you through pre historic hand axe production, and how to make flakes for butchery and hide scrapers. You will then have the opportunity to use your tools to prepare your meals. We will also work with you on the production of blade cores and basic survival tools.On the second day we step up a gear and work on the production of finer tools where you will initially make a barbed and tanged arrowhead, followed by the production of a fully fledged arrow using hazel from the woodland. You will also be using the scrapers and blade core tools produced on day one for all of your work, enabling you to come away with the confidence that you could produce useable tools without the use of modern equipment. Upon conclusion of the course you receive the Woodland Ways Red Deer Stag pin badge as a symbol of your knowledge. The whole course consists of 17 weekends plus 3 one-day courses. It also includes our platinum membership card, exclusive to THE WOODLAND WAYER course participants. This allows you a further 12 weekends free pre-arranged access to our woodlands over 2 years, 10% discount of equipment and 15% discount of further courses and expeditions. You cannot buy this membership, it is exclusive to THE WOODLAND WAYER course participants. We estimate the entire package to be worth in the region of £6000. We are offering you this AMAZING course, with some of the UK's leading instructors, for a prompt payment discount of just £3195. So that is 17 comprehensive weekend courses, 3 day courses, AND our platinum membership card entitling you to 12 weekends free access to our woodlands, 10% discount on equipment and 15% discount on further courses for just £3195. We acknowledge that this can be quite an initial outlay for you, and so we are happy to offer you the opportunity to pay a slightly increased rate but spread over 4 equal instalments of £900 over the 2 years of the programme. Just email us on info@woodland-ways.co.uk to set up a direct debit. "The WOODLAND WAYER 2 year course: Hi Jason. Thanks for a great weekend, a shed load of information and skills delivered in a highly professional but informal way. Nigh on 8hrs Friday, 12hrs Saturday and 8hrs Sunday of quality instruction from what must be the hardest working team of Bushcraft Instructors out there. 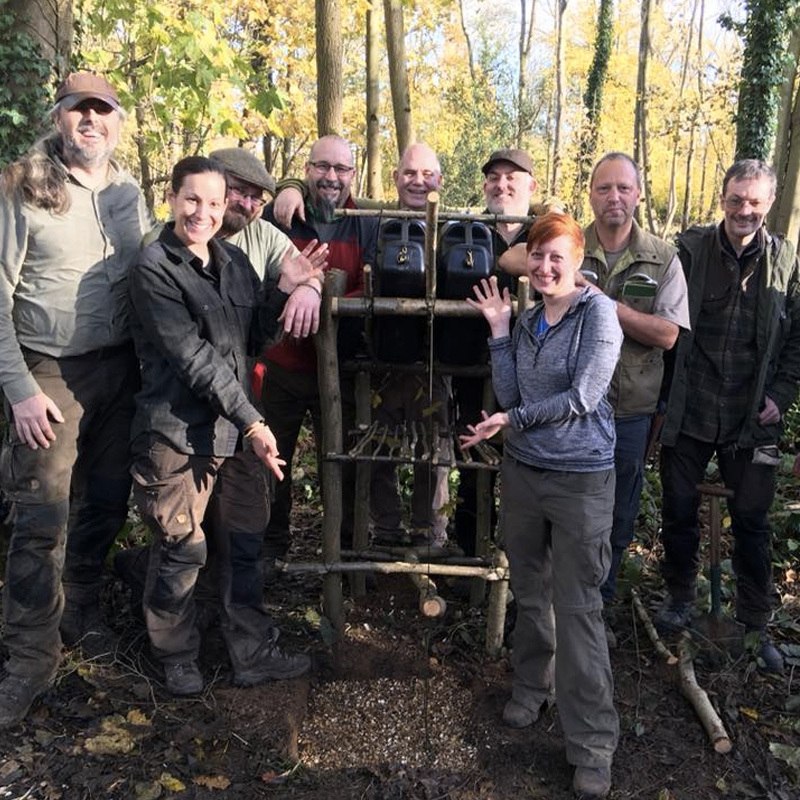 I came away with new skills and knowledge and feeling good about what the next 2 years and the years following will bring, The Woodland Ways Instructor team should feel good too, for a job very well done." "Hi Jason, just a quick line to say THANKS for best weekend of my life, it was out of this world, the location is spot on, the wildlife is at it's best, to see ten deer, in one day, in two woods is unbelievable. The plants are popping through and the lads are a great bunch, very keen. The STAFF, yourself, Joe and Kev are very, very, very helpful and considerate, Kev is a great instructor, one of the very best, very approachable and helpful, ask Kev a question and he will not only give you the answer, but will tell you in depth, a great guy." 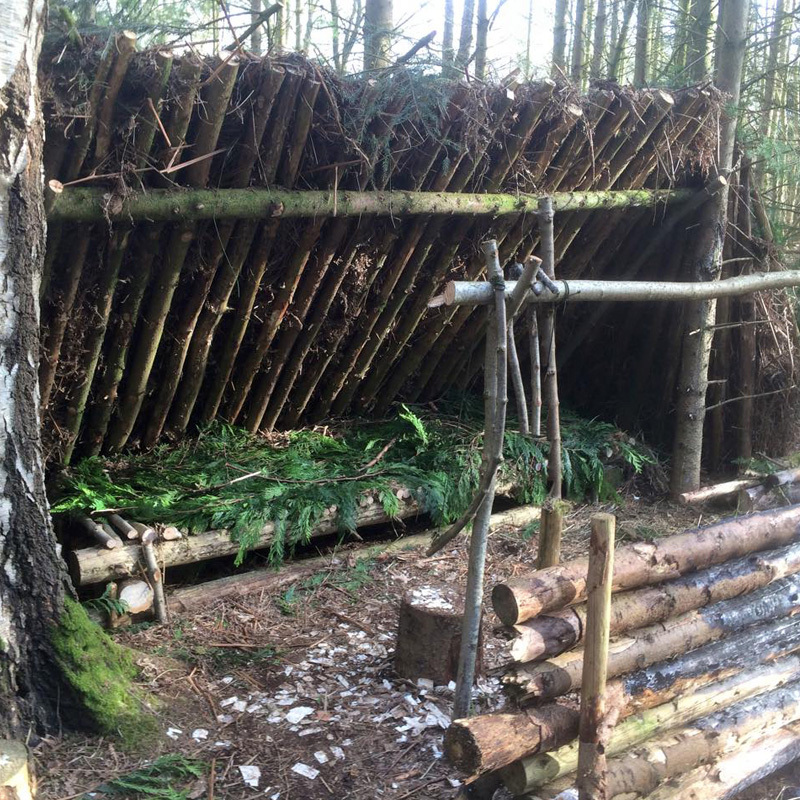 Another excellent weekend, Intermediate shelter building, as part of the woodland Wayer. I had a night in out kennel shelters that was constructed and didnt even need to be inside a sleeping bag as it was so warm inside! Had the added pleasure of being in a remote part of the wood, with owls calling during the night! "FEEDBACK FROM THE 2 YEAR WOODLAND WAYER COURSE- "Amazing location, extremely knowledgeable, patient (and funny) instructors. I feel like I'm at the start of an incredible journey. The care and attention paid to the woods and wildlife was second to none. Get on the next course, you won't regret it"." 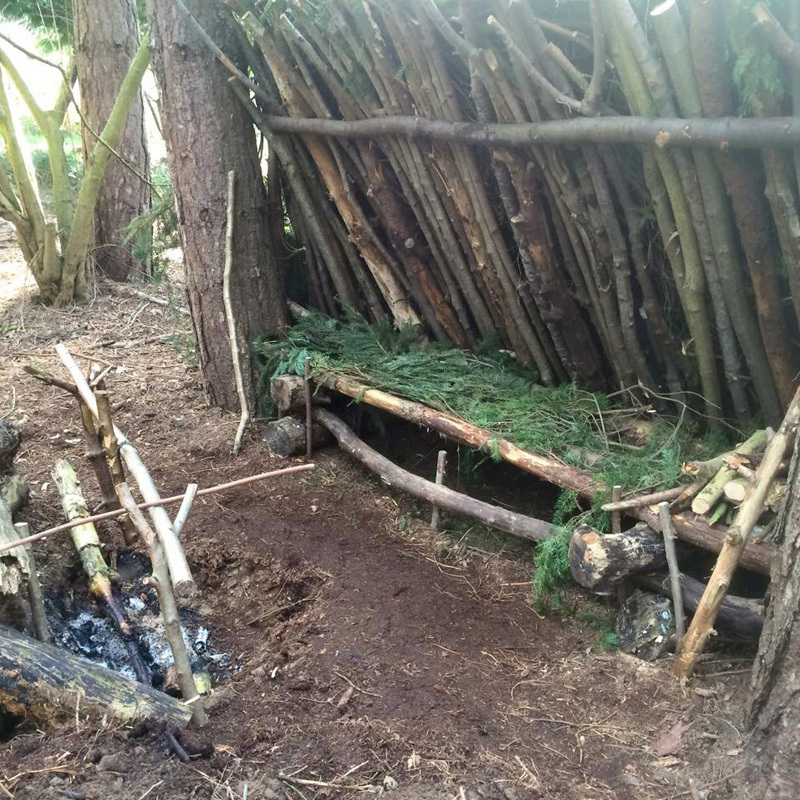 "The WOODLAND WAYER 2 year course: From the very beginning to the second you leave you are immersed in the world of bushcraft to the most finite detail. As soon as you arrive you realise how professional, dedicated and funny all the instructors are - they love there jobs and as a result you love their courses. 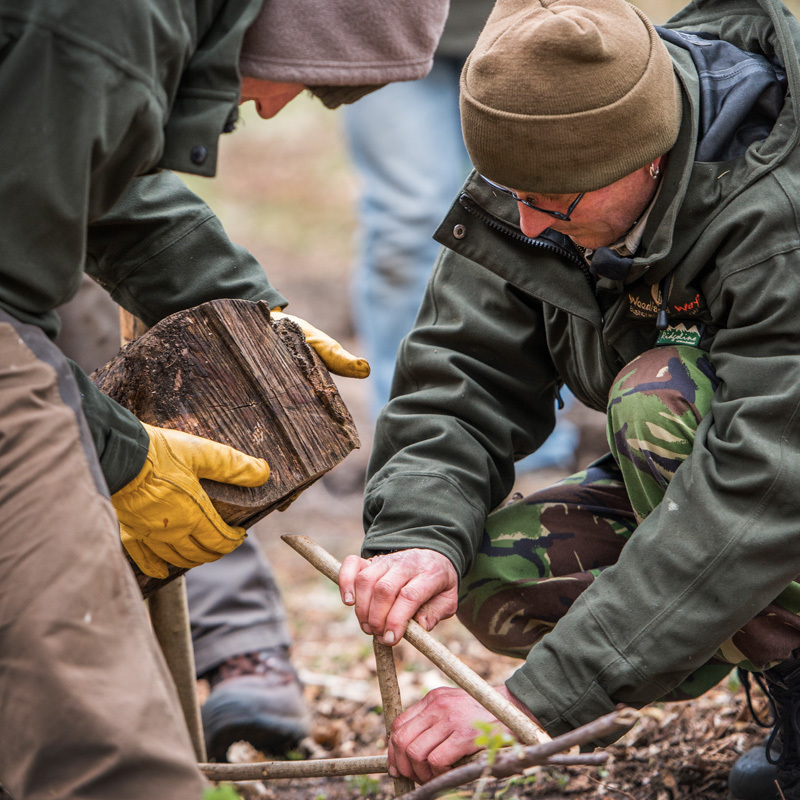 What makes a woodland ways course so very different from any "normal" bush craft course is the shear attention to detail and instructor ability. Their aim is not to just teach you how to build a fire but teach you how to mange and control fires and not just teach you one way but to teach you 9 or 10 different ways to the ninth degree so that once you leave their course you have an arsenal of skills that you can utilise at the drop of a hat. Just want to say a great big thanks to all the lads on the course and all the instructing team It's gonna be a fantastic two years and I just can't wait ." Just got back from another great weekend on the woodland wayer course they just get better and better from a punter if you are thinking about doing this course in 2013 all i can say is the best money you will ever part with its a fantastic experience. 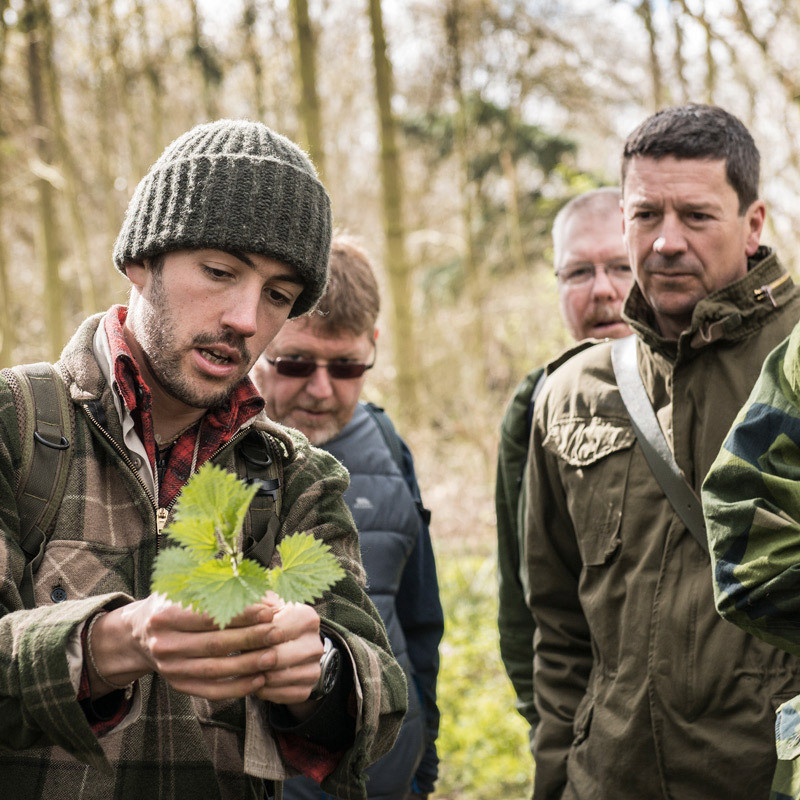 "Had a fantastic day foraging for our lunch and learnt so much about the plants that are around us every day, adding to the knowledge gained on the spring forage, by seeing the same plants,but with them all looking completly different. I now feel more confident to forage for myself and to start to introduce plants into my everyday meals. The mackerel wrapped in burdock with a wood sorrel sauce that we cooked on an open fire was amazing!" "This is the third course as part of the 'Woodland Wayer that I have done and it just keeps getting better! Because of the quality of the training, the undisturbed environment and the enthusiasm that surrounds the Woodland Ways staff, I actually feel like i'm becoming a part of the woods and the more we do, the more comfortable and confident I feel, my skill base is constantly growing and despite us concentrating on tracking and animal prints for this weekend, we also learn so much more, about bushcraft in general. I cannot even begin to recommend highly enough how much I feel like a part of the Woodland Ways family since I started on the 'Woodland Wayer' 2 year course and would say to anyone who wishes to submerge themselves completely into the bushcraft world....GET YOURSELF ON IT!!!!!!" 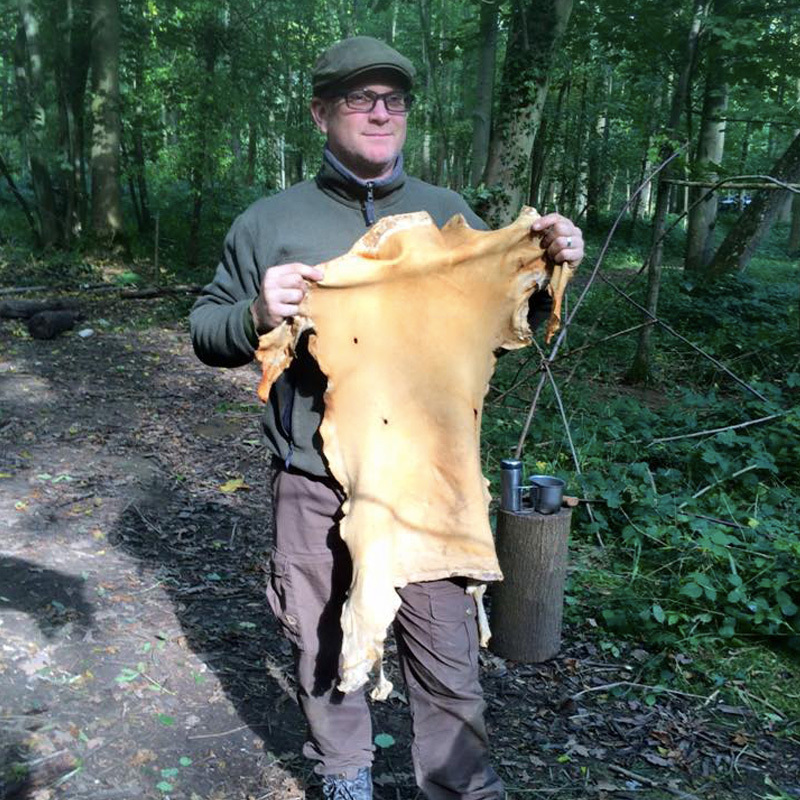 "Hi Jason, THANKS for another fantastic weekend on the WOODLAND WAYER, I thought this course could not get any better, how wrong i was, the weekend was OUTSTANDING, the best BUSHCRAFT/SURVIVAL TRACKING i have ever been on. Fantastic teaching on your behalf, Stunning wildlife to track, Great woodlander staff to track ( MAT & NICK ) Great group of students, the lads on this course are the best bunch I have ever had the pleasure to train with, we never stop learning and laughing, and what about the weather, the sun was shinning all weekend, what more can we wish for, what more can I say, lets get back very soon." Nestling on the banks of the River Thames we have sole access to a 250 Acre Private Woodlands just outside the Village of Appleton, in Oxfordshire. With 125 Acres designated as SSSI (Site of Special Scientific Interest) there is an abundance of flora and fauna. With a mixed canopy throughout the woodlands and a mosaic of habitats this woodlands provides us with amazing resources, with Oak, Ash, Beech, Birch, Hazel, Hawthorn, Cherry, Blackthorn and more. 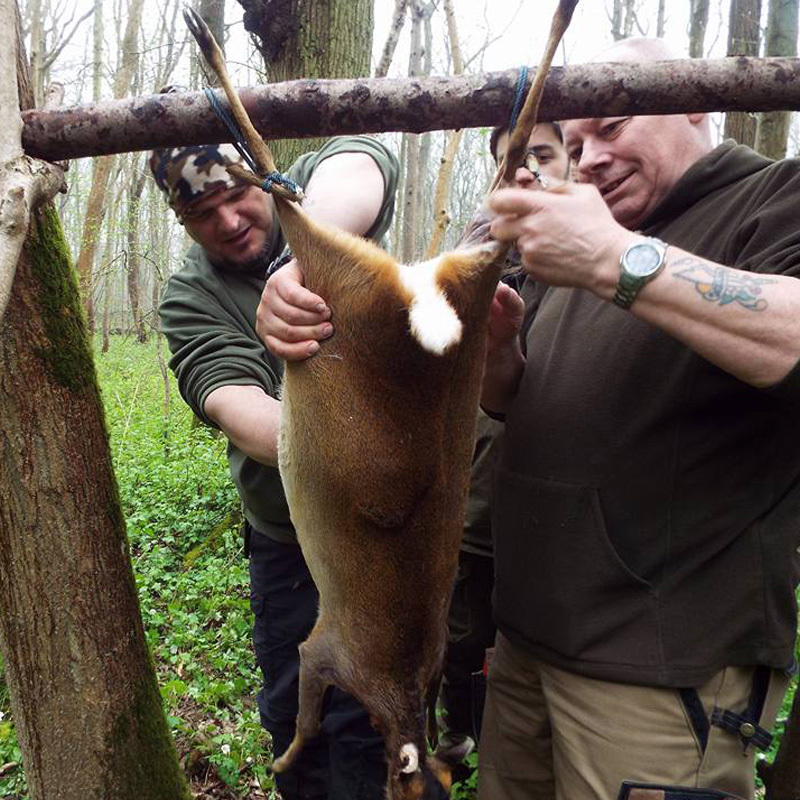 We have resident populations of Muntjac, Roe and Fallow Deer. Plus a huge variety of other fauna with almost daily sightings of Stoat, Tawny Owl, Buzzard, Red Kite and so much more. We operate all of our courses here for individuals to book on to, including our Woodland Ways Weekend, we also offer private bookings, school bookings, stag do's and corporate events. Toilet facilities are available my means of composting toilets and a portaloo. There are central covered teaching area's within the woodlands comprising of timber and canvas structures. This wonderful wonderful woodlands is situated within 45 minutes of West London and the local train station (Oxford) is less than a 15 minute cab ride away. Please ensure when travelling to the venue you use the directions and not rely on Sat Nav in order to prevent getting lost. This course can be purchased as an 18 month voucher, to book online choose "18 month voucher" from the options above and we will email the details over to you. Alternatively if you are purchasing this course as a gift we can post you a full colour gift presentation pack for just £4.25, just choose posted instead of emailed delivery option. Or contact us by phone to make the arrangements. We’re happy to take course bookings and payments over the phone. Simply give us a call and we’ll place the booking for you before emailing through confirmation. Alternatively, drop us an email at info@woodland-ways.co.uk and we’ll call you back. If your course booking is for a gift, no problem, just let us know at the time of booking and we’ll email you a personalised gift certificate or 18-month voucher to print at home. Or, for a small supplement, we’ll print out a gift pack and pop it in the post for you.